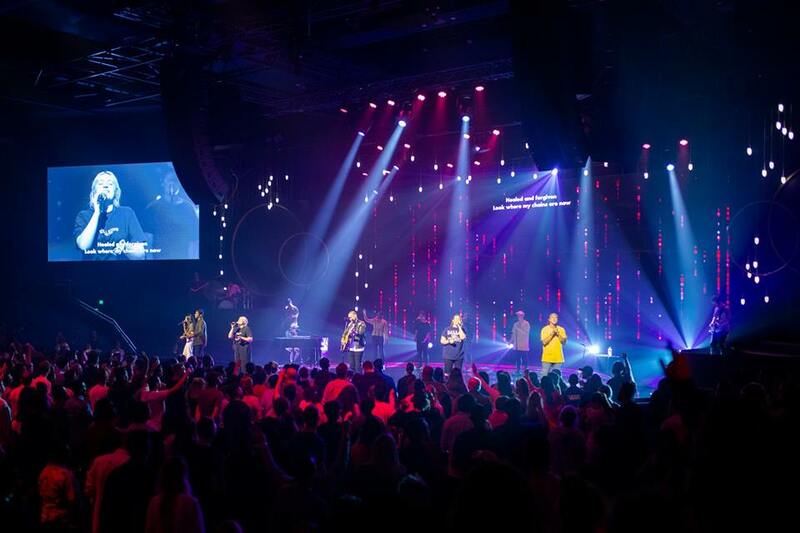 Hillsong Channel, a media branch of Hillsong Church, recently announced that they are launching a new show called “Now With Natalie,” where stylist Natalie Manuel Lee discusses the intersection of faith and purpose with Christian celebrities. Lee, who is the sister of “Fear of God” designer Jerry Lorenzo, announced the new venture on Instagram, sharing her excitement about the opportunity. “Due to the plight of humanity and where we are as a culture God used me to create a show about TRUE IDENTITY and TRUE PURPOSE!” Lee wrote. “The purpose of this show is to nullify, dismantle, and pull back the veil to the counterfeits of identity and purpose being sold and consumed through popular culture,” she added. “This program breaks down these false narratives,” she wrote. “As a generation, we tend to focus on ‘these things’ and ‘accolades’ that we miss why we are here. We glorify the POSITION more than the PURPOSE of the position,” she added. Lee will be interviewing Hailey Bieber, Tyson Chandler, Kelly Rowland, Jerry Lorenzo and Elaine Welteroth, who are all known for various career achievements but share the same faith. Lee, who has a close relationship with Hailey Bieber (formerly Hailey Baldwin), shared a photo to Instagram this past November, expressing her admiration of Bieber’s faith. “She is BOLD, COURAGEOUS and CONFIDENT because she knows who she is in Christ. She stands tall in the midst of a sea of people…Not because of her height.. but because of the CHRIST within her,” Lee said of Bieber. “Now With Natalie” will also featureLos Angeles Laker Tyson Chandler, who famously allowed Pastor Carl Lentz to baptize Justin Bieber in his bathtub. “People don’t understand that you could really lose yourself in fame,” he said in a clip shared on the Hillsong Channel Instagram. Lee’s brother, Jerry Lorenzo, is also featured in the promotional video where he talks about his purpose that is greater than designing clothing. “I think that it’s easy to come here and get caught up. I like clothes but’s it’s really empty if that’s what I came here to do,” Lorenzo said about the fashion industry. To stay updated on the “Now With Natalie” show, check out the Hillsong Channels page.